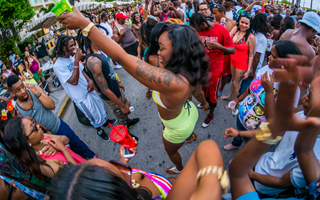 $2.00/hour on-street – maximum time limits vary. 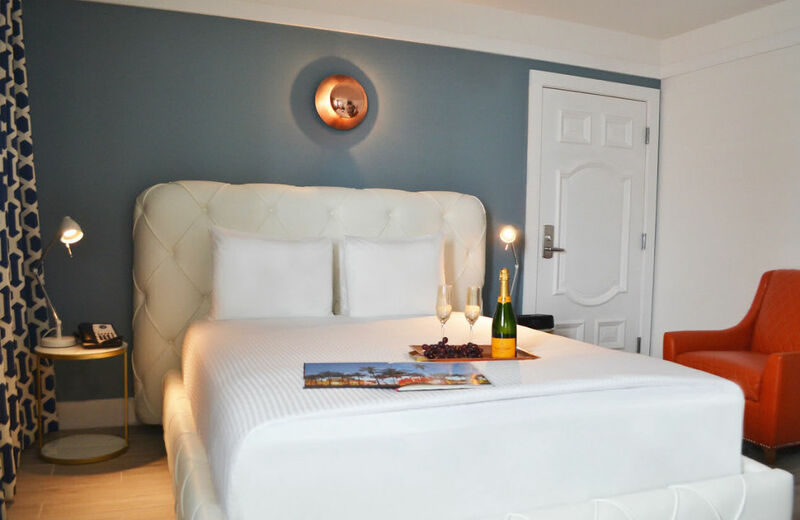 Perfect for a couples getaway, Oceanside Queen Room offers intimate comfort with one queen size bed and sophisticated interior. 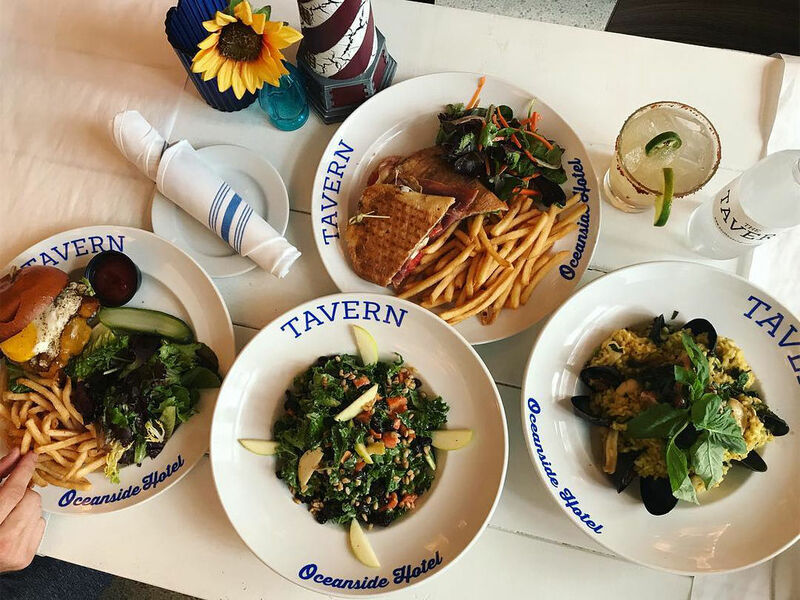 Ease and comfort await you in this cozy Miami Beach accommodation just a block away from the beach. 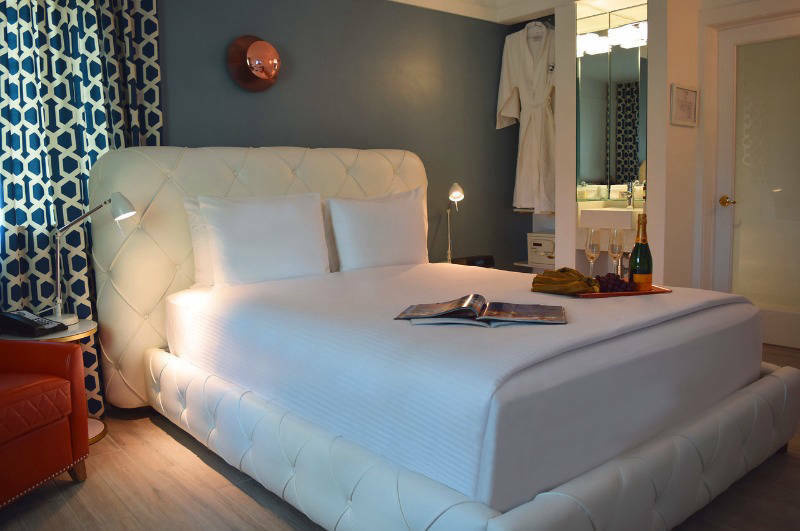 The accommodation, with its white linens, plush bed, Bigelow bath products, and well-appointed decor complete with a desk and 42" plasma television with satellite service, is well suited for a day of sun and an evening of fun. 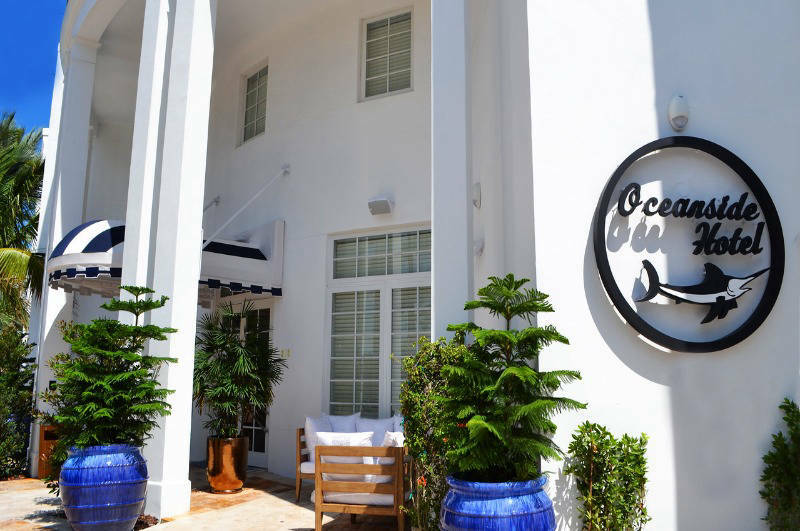 Whether you are visiting for business or pleasure, Oceanside Queen Room offers an intimate boutique experience. 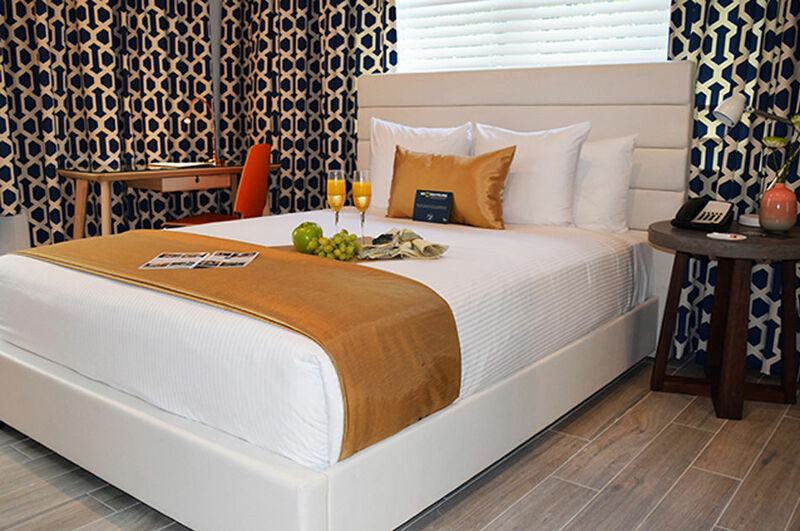 A sense of warmth and relaxation carry over on to your day because you had a luscious night of sleep in one of the Oceanside Queen Queen rooms. 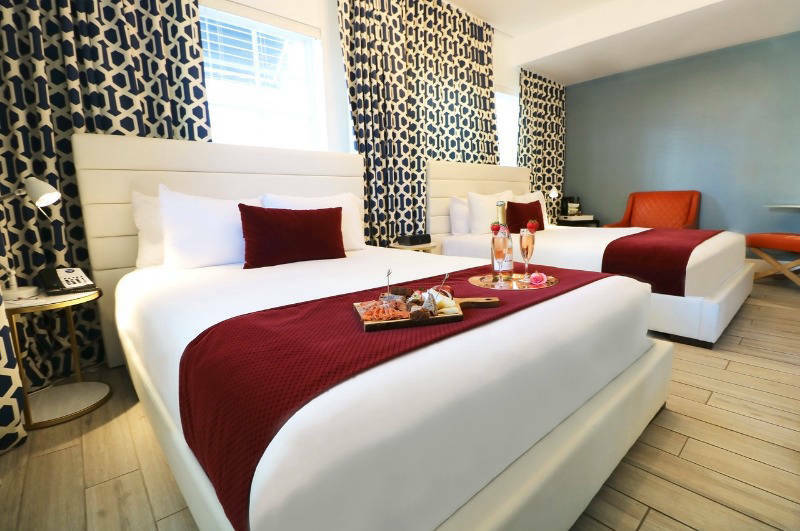 This comfortable accommodation comes with two one queen size beds and sophisticated interior. 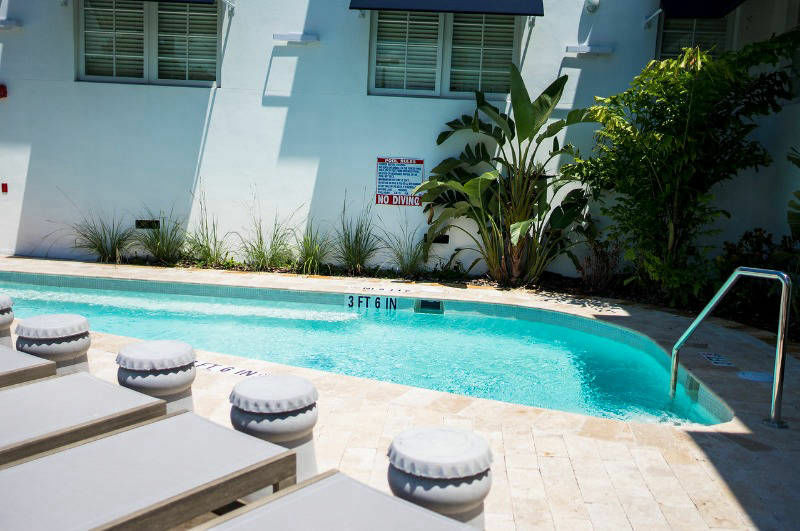 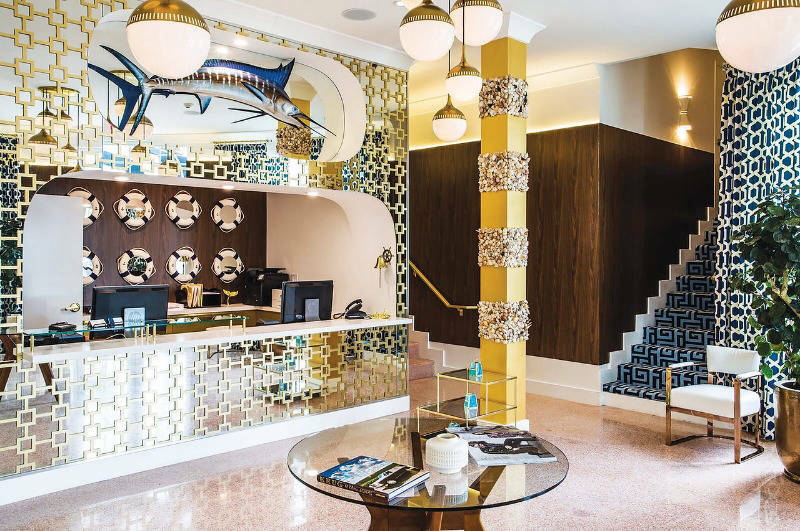 This cozy Miami Beach accommodation is just a block away from the beach. 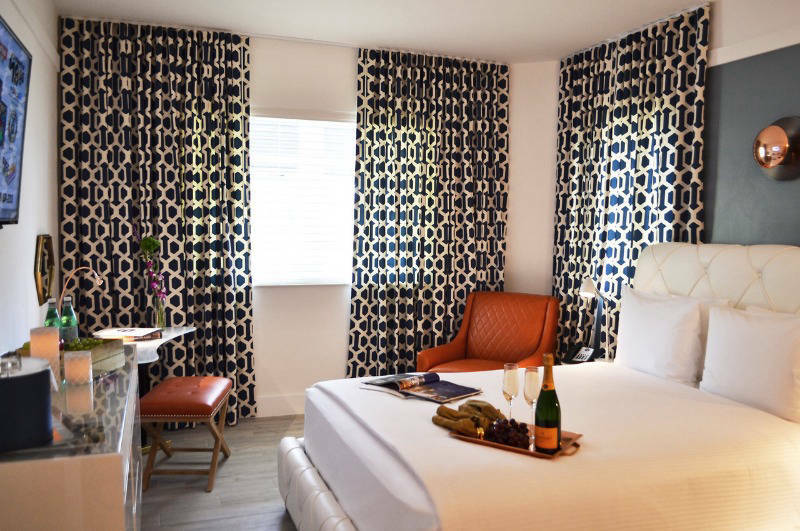 The room, with its white linens, plush bed, Bigelow bath products, and well-appointed decor complete with a desk and 42" plasma television with satellite service, is well suited for a day of sun and an evening of fun. 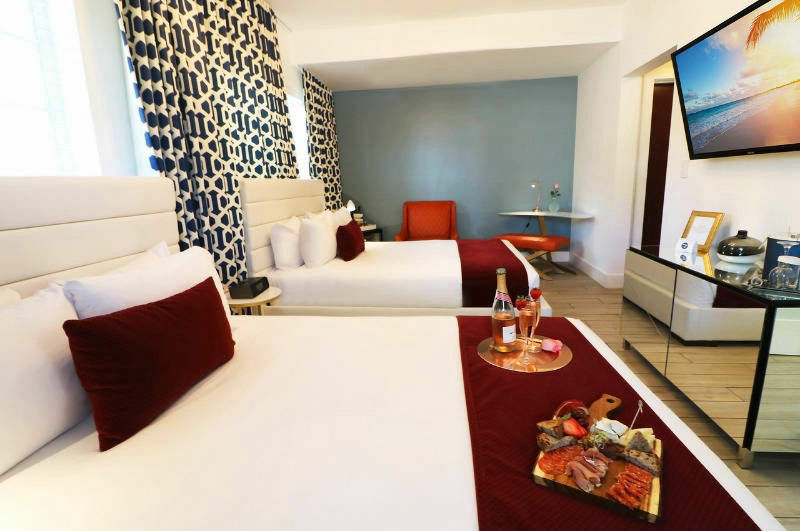 Whether you are visiting for business or pleasure, Queen Queen Room offers sophisticated style and comfort. 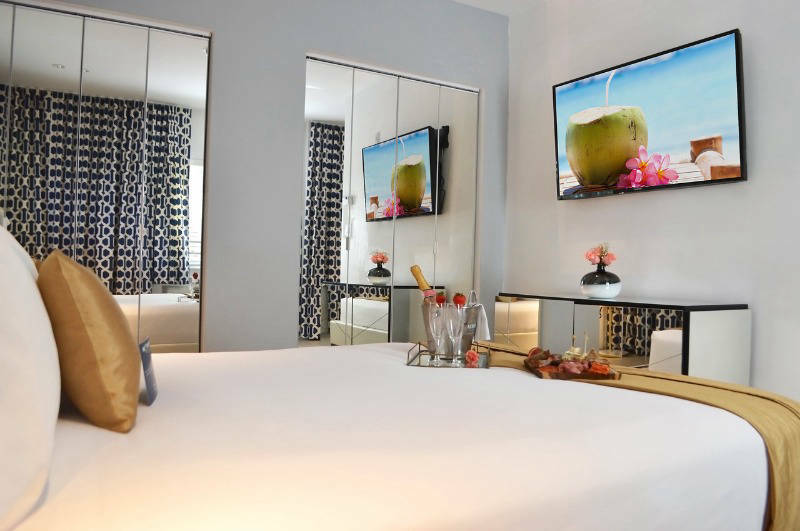 Oceanside One Bedroom Suite features bold aesthetics and a seamless experience from the moment you walk in. 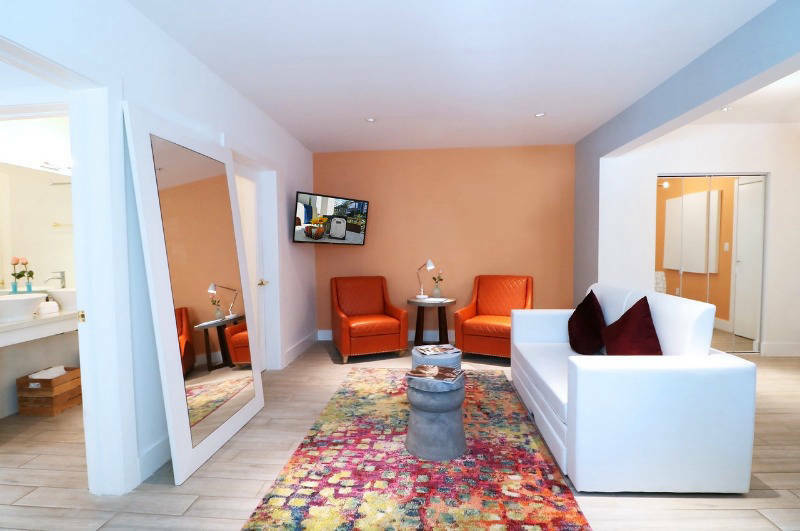 The suite benefits from a spacious seating area and sophisticated interior. 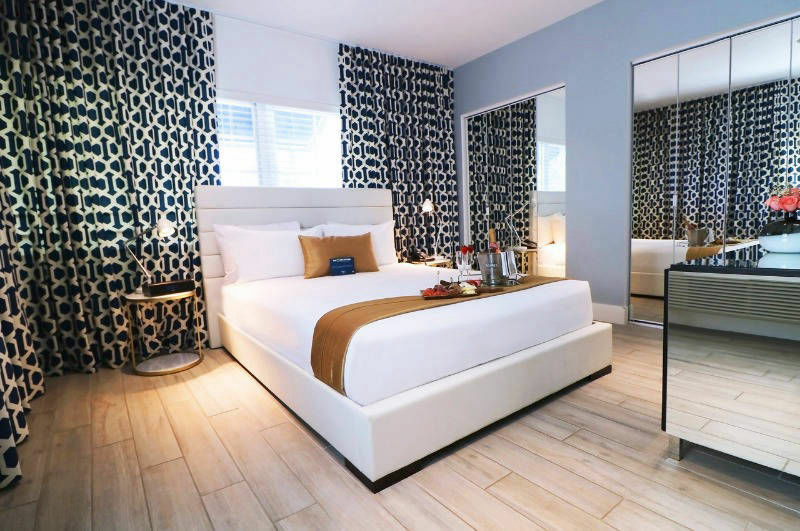 Ease and comfort await you in this beautiful Miami Beach accommodation just a block away from the beach. 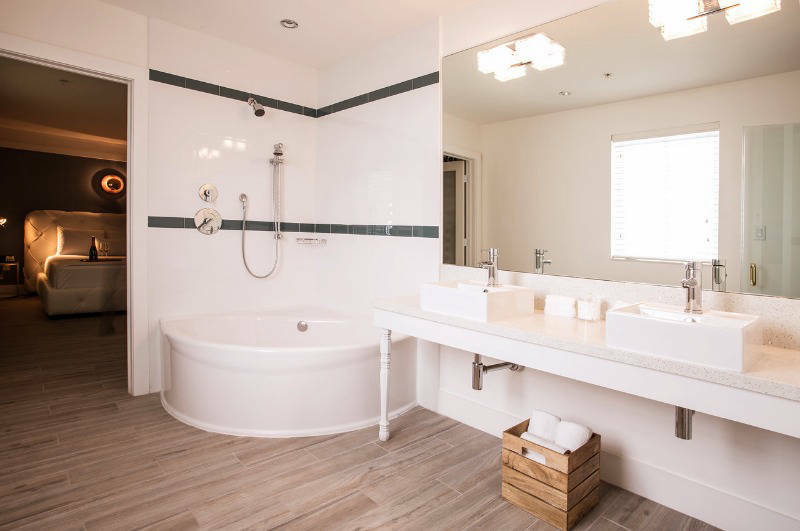 The suite features white linens, plush bed, Bigelow bath products, well-appointed decor complete with a desk, kitchenette, washer, and dryer. 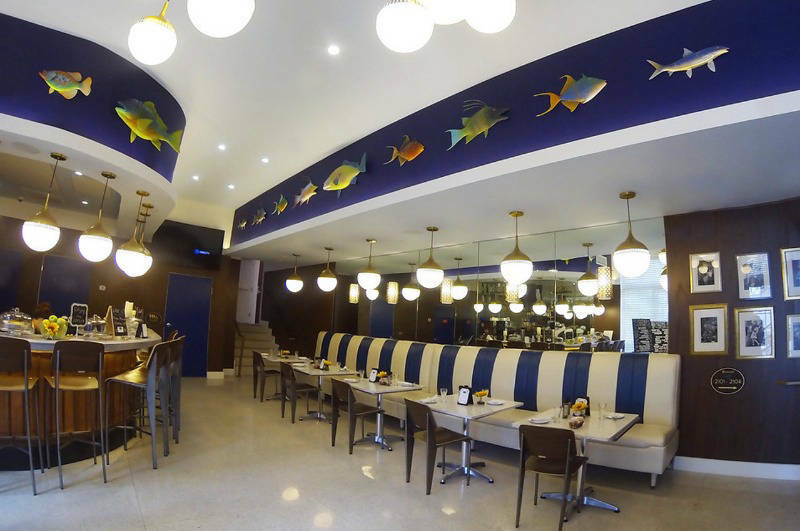 It is well suited for a day of sun and an evening of fun. 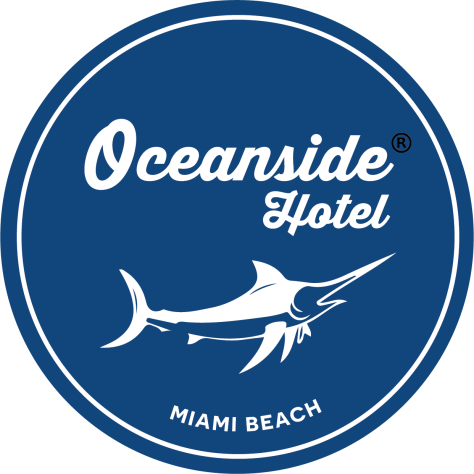 Whether you are visiting for business or pleasure, Oceanside One Bedroom Suite has all you need for a restful stay in Miami Beach.